Our office is equipped with modern dental technology and amenities. We offer all patients Wi-Fi, noise-canceling headphones and more. We do everything we can to provide you with a comfortable and modern dental office experience. Thanks to our general dentistry, you can rely on us anytime for unmatched expertise. Your comfort is our concern. 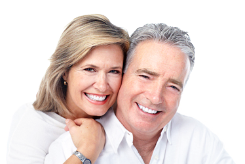 We provide a wide range of high quality dental services to patients of all ages. Our office is family friendly, and we focus on individualized care in a comfortable and relaxing environment. Once you see what we have to offer in root canals, you’ll understand why we’re the preferred choice in Miami, FL. We've never let a patient down when it comes to tooth extraction. When you look at the difference between us and the competition, you will see that Coconut Grove Dental is the superior choice. If you’ve been looking for dental sealants, your search is over. We are here to help. Coconut Grove Dental © All Rights Reserved.